An upscale base cabinet for your kitchen sink, this attractive Alpine Kitchenette Sink & Cabinet will add glamour to your kitchen. Don’t buy your cabinets and sink separately when you can purchase the whole kit and caboodle in the one go! As a preassembled unit, this cabinet can be installed without any hassles. 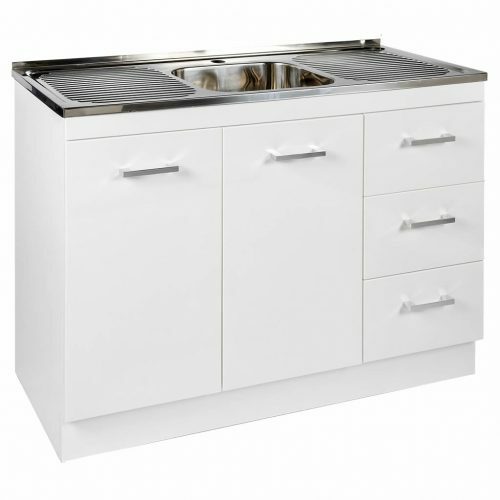 An effective partner for any kitchen, this all-in-one cabinet features a stainless steel sink, which is well complemented with three drawers and a double door cupboard. 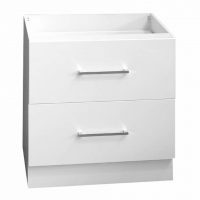 Customise the cabinet to your specifications by choosing left hand or right hand drawers. Presenting crisp looks, the Alpine Kitchenette Sink & Cabinet features a white high-gloss finish on all sides and comes equipped with chrome handles. Made out of PVC board with a durable 2 pack finish, it is not only completely waterproof, but also scratch resistant. 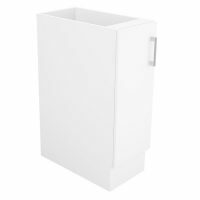 All drawers and doors of this cabinet feature soft closing features with built-in dampers, allowing slow, gentle and noiseless operation. 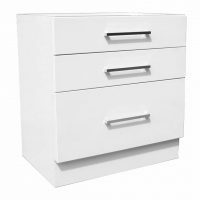 The highly durable cabinet features a sturdy frame to ensure it will last many years. 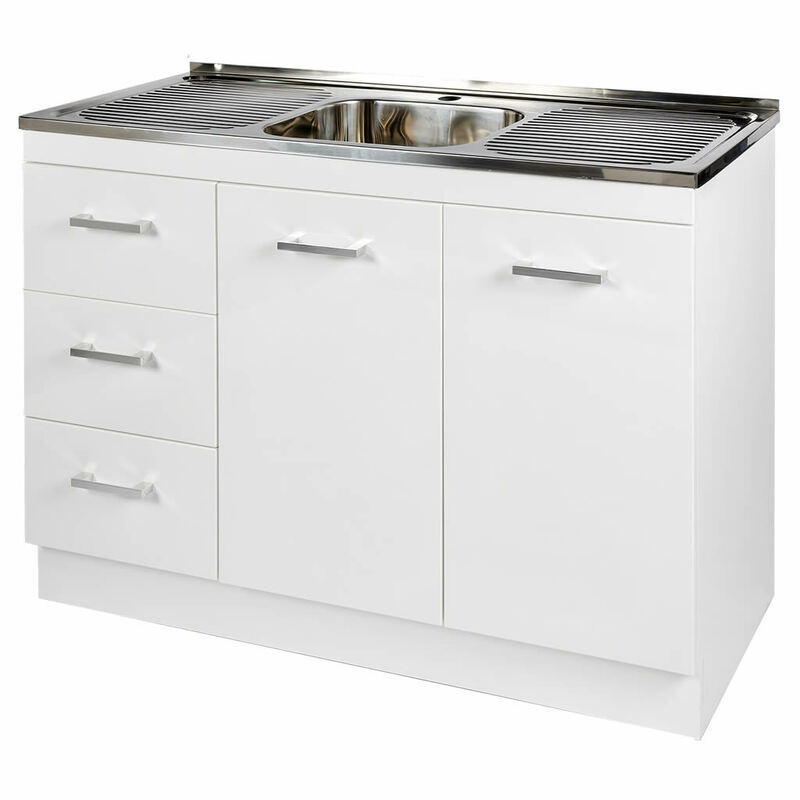 As with all Alpine cabinets, this kitchenette sink and cabinet is backed by a 5 year guarantee on materials and workmanship. To clean this cabinet, simply use a damp cloth to polish the surface and then wipe it dry. Purchase this elegant Alpine Kitchenette Sink & Cabinet from Ross’s Discount Home Centre for a hassle-free kitchen install.